At EverLine Coatings we offer a number of interior line painting services to businesses in Vancouver and it’s surrounding areas. These services include safety and production flow floor markings, plant and warehouse forklift traffic line markings and parking garage and parkade line painting. EverLine is ready to help with all of your indoor floor marking needs. 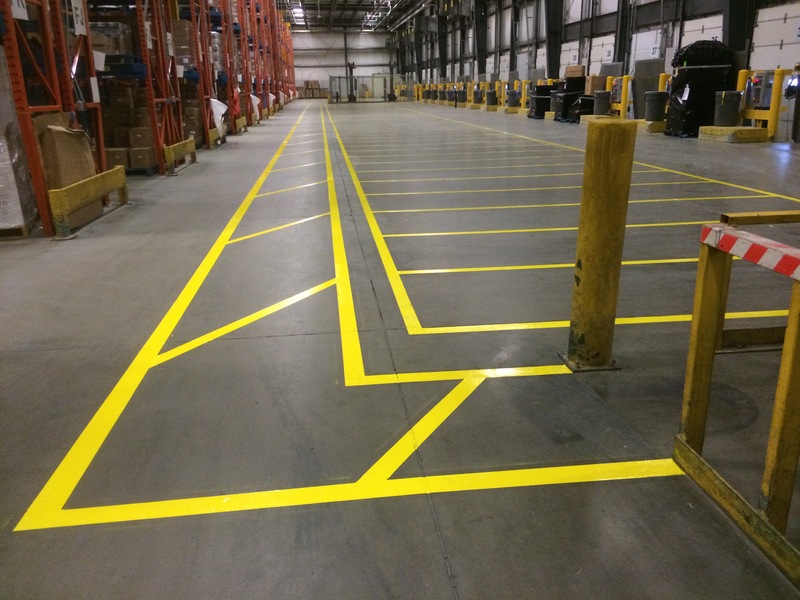 At EverLine Coatings and Services, we know having accurate and durable line markings inside your warehouse or commercial building is a crucial part of ensuring the safety of your employees. We offer a variety of interior line painting services to Vancouver and its surrounding areas and can handle any interior line painting job you need done. Our experienced line painters will complete the job quickly and to a professional standard. We have successfully completed a variety of production floor marking projects in a wide range of facilities. We have the all of the needed experience to provide the proper floor marking services for your business. At EverLine we always ensure that we provide your business with the right services and materials so we can provide you with the highest quality job and within your budget. When you choose Everline Coatings and Services for your interior line painting needs, you get the Everline advantage. Everline has invested a lot of time and energy training it’s crews to give them the needed skills to get the job done. Because of this, we feel we have the most experienced and highly trained interior line painting crews in Canada. We deliver durable line painting services with precision and care. In addition to our industry leading interior line painting services, we also aim to have the best customer service in the industry too. Our commitment to providing you a service that cannot be matched by competitors is proven with the flexible hours available with our line painting crews. We understand you can’t disrupt your regular business operations with interior line painting crews. This is why we are proud to offer overnight and off hours line painting services. Our crews will come in and complete your line painting project while your business is closed or off hours. Part of what gives our interior line painting services the advantage over our competition is our commitment to quality. This is why our line painting crews only use the best quality products available to deliver unmatched durability. When we complete an interior line painting project you can be assured it will look great and last a long time. At EverLine Coatings and Services, we are considered line painting experts from our many years of experience. 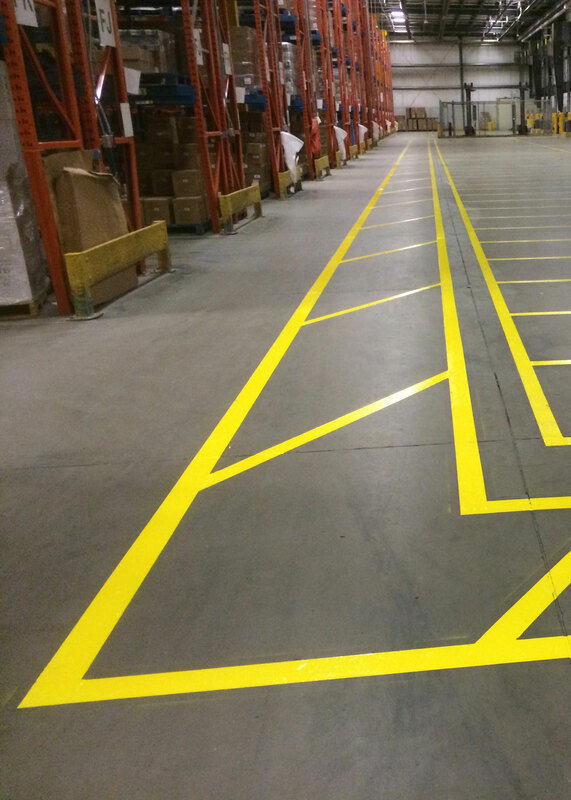 We understand that floor markings and plant/ warehouse forklift traffic line markings must be implemented effectively and strategically to ensure safety and efficient production. Our experience comes from completing a wide variety of interior line painting projects using products ranging from paint to epoxy and even urethanes. Our unmatched experience providing interior line painting solutions allows us to provide customized solutions for each unique type of facility and surface. We promise to provide your business with the appropriate products based on your unique budget, provide an application window that works for your business and will meet your durability expectations. Our in house multi crew setup allows us to work quickly and efficiently to ensure minimal on no disruptions to night or day operations. If you are receiving our interior line painting services in the new future, there are a few steps we ask you to undertake in preparation. Please place notify and post notices that our crews will be performing work on your property. Please place wet paint notices as anyone that walks or drives through wet paint will ruin any work we have completed. If you require assistance in cleaning the surface before painting, please inquire about our cleaning services. Following these steps will ensure a safe, effective and timely completion of our services so we can serve you better. Since each project can vary so much we do not offer standardized pricing for our interior line painting service. Instead our pricing is done on a per-job basis as pricing can fluctuate based on the volume, difficulty, traffic and materials being used on site. Our team also will work with your business to provide you with a quote that will work within your budget. If you require a quote for an interior line painting project please contact us.